See Martha Heatons's facebook page Mandala Messages for more info on Word of the Year Mandalas! 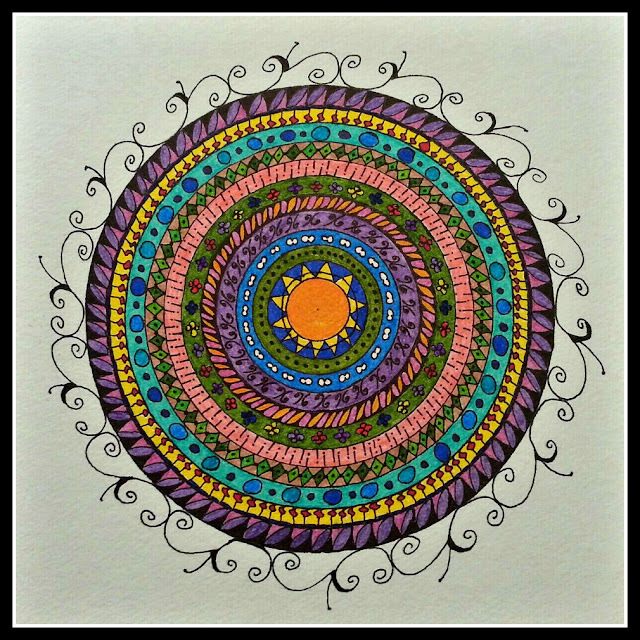 My mom started creating these amazing mandalas from letters of meaningful words turned into doodles... This one is MINE! Action is my word to focus on this year. for simply a Word of the Year. One Little Word to focus on. It has already got the year off to a fabulous start! My brother moved into his own apartment right before Christmas. 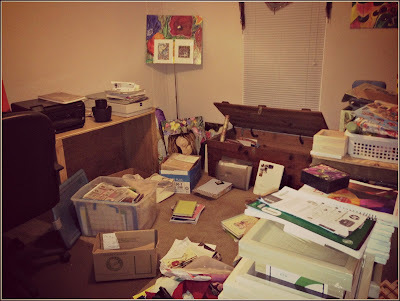 I had no idea how much art related STUFF I have! I still have lots to do. Last night though, I hooked up scanners and netbooks and laptops and cords looked like booby-traps set up all over the place, but I accomplished things - In My Studio! Looking forward to a productive 2013! Have you picked a Word of the Year? This is my first year participating and I am loving all the things I see others doing! I will leave you with one of my most favorite poems, lines from it have been jumping around in my head while I was working on this post. Much love and happiness for you this New Year! Let the dead Past bury its dead! Act, — act in the living Present! Inspiring! Wishing you the best for 'action'. I'm tagging onto that with my 'less' word. Jess, action is a fantastic word! May it serve you well in the new year. How exciting that you'll have your own space for art! Looking forward to seeing what you create in it! Thank you Wendy, Happy New Year!! Jess Action is a great word, much will happen for you I hope. It has been lovely to meet and share with you last year and I wish you a very happy and creative 2013. I have not done the word of the year, but last year Smilie became an important focus. If I have to pick one for this year already, it might be Dance.